Is it possible to Divorce Without Lawyers? When and Why is it Important that you are BOTH Ready to Get a Divorce? What should you know about divorce rules and divorce basics? How to choose a divorce mediator? What is Estate planning and What are the Options? Whether you hire us, another attorney or a legal document assistant, there are some basic tips to help you save divorce cost, make the process more efficient and to Increase your opportunity for Best Results. First of all, be honest with your legal assistant or your attorney up front. It will keep them from going down the wrong path. Be sure to reveal a significant facts of your case to your attorney if you decided to retain an attorney. Second, if you decide to hire Legal Document Assistant for your uncontested divorce, be sure your spouse will cooperate in every step of the divorce document preparation services. Sometimes clients “think” that it will be uncontested divorce without proper discussion between each other. Eventually they are coming into a conflict in property division, spousal or child support. another case scenario is one the spouse later changes her/his tune about uncontested divorce. 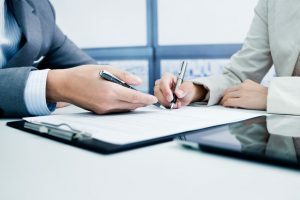 We can still help you in this case, but you might consider attorney for limited scope representation in addition to our divorce document preparation. Third tip in Saving Divorce cost is if you need an attorney, use him/her for limited scope representation only. Limited scope representation means you will not need to retain an attorney, but use the attorney for only part of your case. For example, if you need a legal advice, appear at the hearings or certain guidance how to proceed with your case for your best result. Your legal assistant will do divorce document preparation for just a fraction od attorney’s fees. Fourth tip is if you and your spouse are still living in the same residence after filing a divorce be as much respectful to each other as possible. The better choice is to move out as soon as possible because even in peaceful , uncontested divorces the tension in the family will be usually high while your divorce is pending. You do not want additional complications in turning your divorce from uncontested to contested if your spouse change his/her tune. LegalDocsA2Z provides divorce document preparation services in Orange County and surrounding areas. We have an experienced family law attorneys for limited scope of representation only if you decided to do so. We will still provide divorce documents preparation services for you. Our divorce document preparation services include preparation of all documents on each step of the divorce, filing in the proper court and serving your spouse. The choice of the court depends on the place of your residence . The residency requirements for California divorce are: 1) you have to have lived in California for the past 6 months; 2) to file in Orange County, one or both parties must have lived in Orange County for the three months immediately preceding the filing of the Summons and Petition. Location of divorce document preparation services in Orange County, City of Orange. Our convenient location is near the 55 Freeway and the quick access to major roads, highways, and other necessities in Orange. In addition to filing with the court in Orange County, we can file your divorce in Los Angeles County, Riverside and San Bernardino Counties. Usually our clients and their spouses don’t need a court appearance. Absolutely amazing. Angela is professional, efficient, and personable. Recommend highly. Excellent Legal Services. Angela is extremely knowledgeable and helpful. I highly recommend this place.